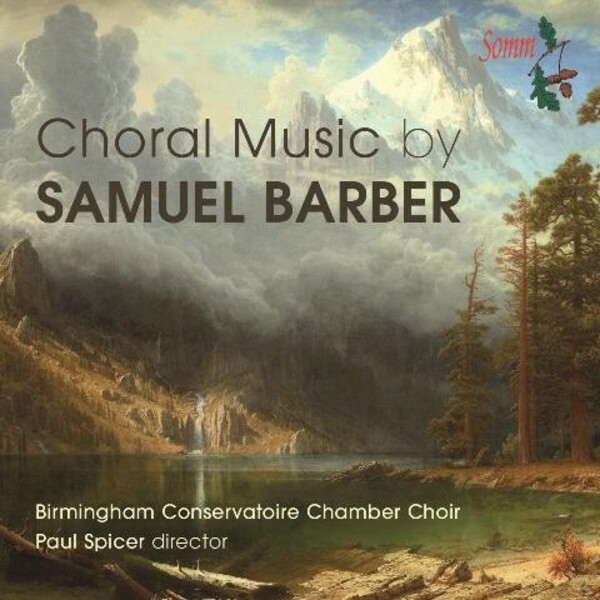 This fourth disc in Somm's series of recordings with Paul Spicer and his Birmingham Conservatoire Chamber Choir gives us most of Samuel Barber's utterly beautiful, neo-Romantic choral music. Barber wrote a great deal of choral music, written in a traditional 19th century tonal idiom despite the fact that his critics called it 'utterly anachronistic and pass�', a criticism to which he remained largely impervious. There was no denying however, that Barber's technical brilliance and emotional immediacy placed him at the forefront of American music. Setting texts for chorus or solo songs formed a large part of Barber's creative life. At the heart of his self-expression was an intimate relationship with the text he was setting. He was fond of British and Irish literature and read poetry ardently, marking texts he might later use, and honing vocal pieces until he was satisfied that they reflected the rhythm, contour, and meaning of words. Barber's use of alternating homophonic and contrapuntal textures as well as sombre harmonies reflect his interest in early Baroque choral music. Much of his music exposed his melancholy but he also had a kind, gregarious, likable side to his character, seen here in works like the three 'Reincarnations' and 'The Monk and His Cat'. Barber's Agnus Dei, heard here in his own arrangement of the famous Adagio for Strings has gained the same prominence as its instrumental counterpart. Barber's music reflects the many sides of a complex man who, despite his warmth and humour could never fully escape his own sadness. "I myself wrote always as I wished, and without a tremendous desire to find the latest thing possible... I wrote as I wanted to for myself", he once declared.